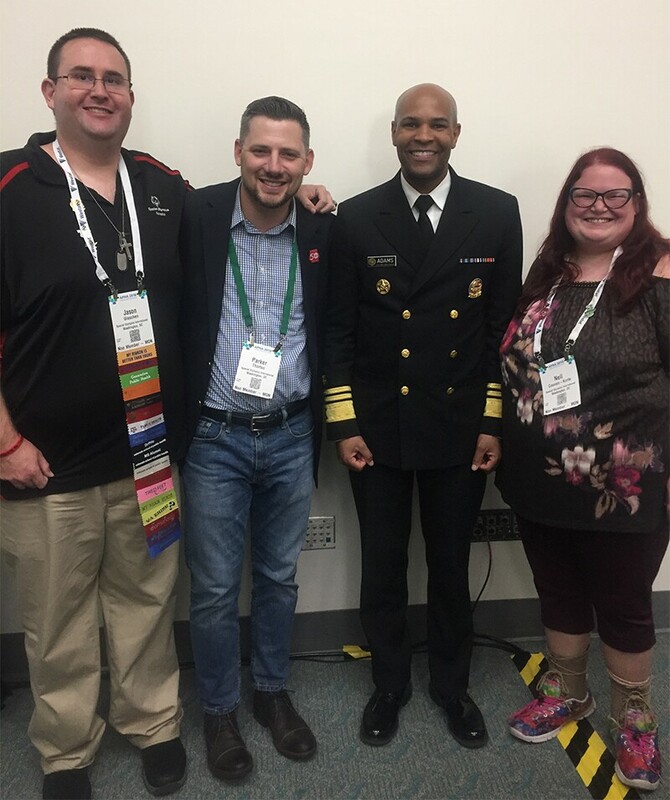 Vice Admiral Jerome M. Adams, Surgeon General of the Unites States presented with Special Olympics at the American Public Health Association (APHA) Annual Meeting in San Diego! Special Olympics Health Messengers Parker Thornton, Nell Coonen-Korte, and Jason Gieschen also led a panel about their health journeys and intentional inclusion. People with intellectual disabilities (ID) are one of the largest and most medically underserved populations who have less access to quality health care and health promotion programs. As a result, people with ID experience dramatically higher rates of preventable disease, chronic pain and suffering, and premature death. “We need to ensure that the dialogue on health equity also includes intellectual disabilities which has traditionally not been the case. Special Olympics has the tools to support your inclusive health journey” said Surgeon General Adams to APHA participants. 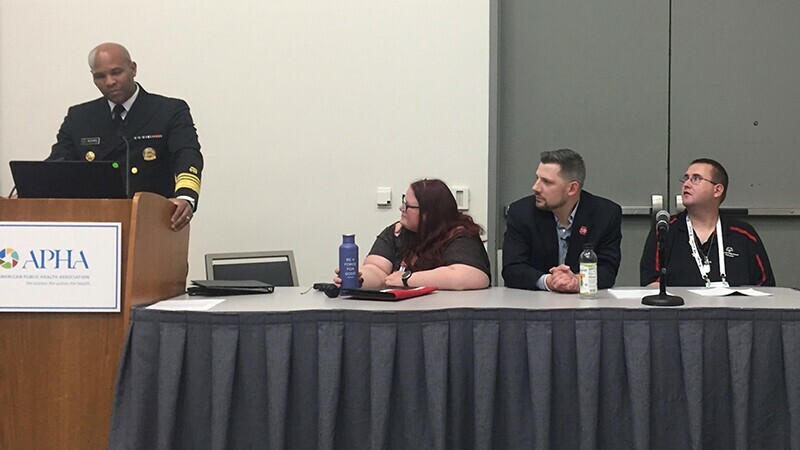 Special Olympics applauds the Surgeon General’s participation in the “Intentional Inclusion: a health equity necessity” Past President’s session on November 12th. 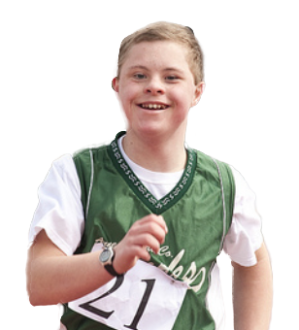 His leadership and dedication to inclusive health will enable Special Olympics to continue to fight for inclusive health for people with intellectual disabilities. Jason Gieschen, Special Olympics Nebraska athlete; Parker Thornton, Special Olympics New Hampshire athlete; Vice Admiral Jerome M. Adams, and Nell Coonen-Korte, Special Olympics Minnesota athlete. Nadja Ruzica, Director of Inclusive Health, also spoke about the Center for Inclusive Health. Special Olympics Health, made possible by the Golisano Foundation and support from the Centers for Disease Control and Prevention (CDC), created a one-stop shop to raise awareness of inclusive health, learn about inclusive practices and how to make inclusive health a reality throughout communities.